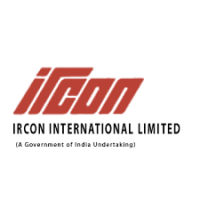 IRCON International Limited, founded in the year 1976, is a New Delhi based integrated engineering and construction company the operations of which are specialized in railways, highways, bridges, flyovers, tunnels, etc. They provide EPC services on a fixed sum turnkey basis as well as item rate basis for different projects related to infrastructure. They have 26 project offices and 5 regional offices in order to manage their operations across the length and breadth of the country. They also provide their services to outside countries like Sri Lanka, Bangladesh, Malaysia, South Africa and Algeria through 5 of their overseas project offices. Their one of the largest shareholder is Ministry of Railways. They provide diverse services for their major construction and infrastructure projects like design and engineering, procurement of equipment and packages, project management and commissioning. Since 1994, they have ISO 90001 – 2008 certification for their quality management systems. Also, they received ISO 14001 – 2004 in 2011 for setting up an environmental management system. In this detailed IPO review, we will talk about the specific details related to IRCON International IPO so that you can make a quick judgement on whether to go ahead with an investment or not. IRCON International IPO will open on September 17, 2018, and close for subscription on September 19, 2018. The IPO size will be of 9,905,157 Equity shares and the face value of each share will be ₹10. Out of these 9,905,157 shares, up to 500,00 shares will be reserved for employees and the retail portion will not be less than 3,291,805 shares. The price band range has been set at ₹470 – ₹475 per share. The IPO size is expected to be up to ₹470.49 crores. The market lot size is of 30 equity shares and the shares will be listed on the National Stock Exchange (NSE) and the Bombay Stock Exchange (BSE). The offer has been approved by the Board of IRCON International Limited. As per the restated consolidated statements, the EPS of the company is ₹38.82 per share in the financial year ended March 21, 2017, and ₹39.72 per share in the financial year ended March 21, 2016. The Return on Net Worth of the company is 10.79% and 10.08% for the fiscal years ended March 21, 2016, and 2017, respectively. The main objective of IRCON International IPO is for disinvestment of up to 9,905,157 Equity Shares, including Employee Reservation Portion, by the Selling Shareholder. The company will not receive any proceeds from this offer. This is definitely not a positive signal since all the funding is going towards to stakeholder’s exit with no allocation towards company’s development at all. This indirectly implies that the company does not have any growth plans for now while the stakeholder exits out. Other than this, the company will also benefit in terms of enhanced corporate image, brand name and increased visibility through IRCON International IPO. IRCON International filed the Draft Red Herring Prospectus (DRHP) with the Securities and Exchange Board of India (SEBI) on March 26, 2018, for the book building offer. The offer will open on September 17, 2018, and close on September 19, 2018. The finalisation of basis of allotment is expected to happen by September 25, 2018, and the initiation of refunds is expected to start by September 26, 2018. The transfer of shares to demat accounts is expected to start on September 26, 2018, and the expected listing date will be September 28, 2018. Let us examine various strengths and risks related to the business of the company to determine whether to invest in IRCON International IPO or not. Their biggest strength is that they operate in many sectors and countries. They have a wide range of services related to different project types. They have a very strong track record of successful execution of more than 126 projects in about 24 countries and 377 projects in India as of December 31, 2017. They are very particular about efficient planning and project management. One of the most important strengths of the business is its excellent financial profile which is reflected in its good profitability margins, zero debt and comfortable liquidity position. Also, their credibility is quite good. They have not defaulted on any repayments of their borrowings since the inception of the company due to which they have a good credit profile. Their rating for short and long-term borrowing (as per CARE) has been AAA/A+ since 2011. The company is growing at a good pace in terms of its strong order book. Its order book was of ₹223,871.7 million as of December 31, 2017. The management and employees are an important factor to consider while analysing any company. For IRCON International, their well qualified and highly experienced management team and skilled workforce are an added advantage. They also have strong strategies planned for increasing their geographical footprint within the country and outside also. Now, let us examine some of the potential risks about the company. Their revenues are mainly dependent on the contracts awarded to them by the Government and government-controlled entities. Any adverse changes in government policies related to construction and infrastructure projects may negatively affect the operations of the company. Any defects during construction may bring negative publicity for the company and the financial health of the company may deteriorate because of that. Any delays, extensions, modifications or cancellations of their existing projects included in their order book may affect the reputation and future profitability of the company. The Railways sector contributes around 84.99% of the total order book of the company. Any adverse changes in this sector may bring about negative impacts on revenues and profitability of the company. They also depend on their joint venture partner’s performance or principal or subcontractor for the projects undertaken by them in a joint venture with other organizations. The statutory auditor of the company has included some qualifications and emphasis in the audit reports. Inability to address them may result in an adverse effect on the operations of the company. Inability to identify or get new projects in the order book also poses another risk for the company. Inability to anticipate and respond to their customers’ requirements in terms of location and type of projects may have a negative impact on the profitability of the business. If the contingent liabilities of around ₹8502 million are materialised, the operations will be negatively affected. Some of the group companies have shown losses in some of the last fiscal periods. Also, the company has shown negative cash flows from investing, operating and financing activities in the last few years. The company, its subsidiaries, etc. are involved in certain legal proceedings and any adverse ruling in them may pose a risk to the overall profitability of the company. Looking at the robust order book, strong financials, zero debt status and strategies to expand further, it may be said that the investors may choose to invest in IRCON International IPO. The IPO certainly looks a good bet at both short as well as long-term levels. Currently, there are 12 Directors on the Board of the company. Sunil Kumar Chaudhary is Chairman and Managing Director, Deepak Sabhlok is the Director – Projects (Whole- Time), Hitesh Khanna is the Director – Works (Whole-Time), Mukesh Kumar Singh is the Director – Finance (Whole – Time) and Chief Finance Officer, Rajiv Chaudhry, Ved Pal are the Part-Time. Official Government Nominee Directors, Sanjay Kumar Singh, Avineesh Matta, Vasudha Vasant Kamat, Chitta Balasatya Venkataramana, Narinder Singh Raina, Ashok Kumar Ganju are the Part-Time, Non – Official Independent Directors of IRCON International Limited. He is a graduate in Science ( Civil Engineering) from University of Delhi and holds a Master’s degree in technology (management and systems) from the Indian Institute of Technology, Delhi. He also holds a post-graduate diploma in alternative dispute resolution from Indian Law Institute. He has an experience in handling projects in infrastructure projects like railways, airports, flyovers, bridges, etc. He also has an experience in international markets and finance appraisals. Axis Capital Limited, IDBI Capital Markets & Securities and SBI Capital Markets are acting as Book Running Lead Manager to the issue. Karvy Computershare Private is acting as the Registrar for the IRCON International IPO.